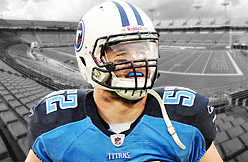 NASHVILLE, Tenn. (WKRN) – Linebacker Colin McCarthy took to Twitter today to announce his retirement. McCarthy was a fourth-round pick for the Tennessee Titans in the 2011 NFL Draft and had a promising NFL career ahead of him. He made seven starts as a rookie and seven more to open the 2012 season, but after a string of unfortunate injuries things changed for the rookie. After dislocating his shoulder in a preseason game against the Packers, McCarthy missed the entire 2014 season. McCarthy, who just turned 27 on May 30, said his shoulder ultimately helped make the decision for him to retire from the NFL. McCarthy is excited about life after the NFL and instead of thinking about what could have been he is grateful that he had the chance to play. On Twitter, he thanked everyone who supported him throughout his career. 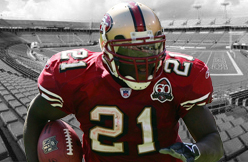 Former 49ers RB Frank Gore signed a 3-year $12 million contract with the Indianapolis Colts. Former Texans WR Andre Johnson signed a 3-year $21 million contract with the Indianapolis Colts. TE Jimmy Graham was traded from the New Orleans Saints to Seattle Seahawks. Former Giants S Antrel Rolle signed a 3-year $11.25 million contract with the Chicago Bears. Former Redskins WR Leonard Hankerson signed a 1-year $1 million contract with the Atlanta Falcons. OT Eric Winston re-signed with the Cincinnati Bengals. Former Broncos OL Orlando Franklin signed a 5-year $36 million contract with the San Diego Chargers. OT Jason Fox re-signed with the Miami Dolphins. MLB Jon Beason re-signed with the NY Giants. 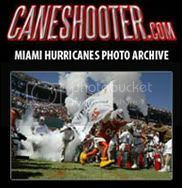 Notable proCane Free Agents still available: Chris Myers, Brandon Meriweather, Santana Moss, Colin McCarthy, Reggie Wayne, Vince Wilfork, DJ Williams, Darryl Sharpton. Former Titans linebacker Colin McCarthy is visiting the Patriots Tuesday, per ESPN. McCarthy, 26, missed all of the 2014 season after undergoing shoulder surgery and being placed on injured reserve. He was drafted by the Titans in 2011. His career stats include 161 total tackles, three interceptions and three forced fumbles. Nashville, TN (SportsNetwork.com) - The Tennessee Titans placed linebacker Colin McCarthy on injured reserve among other roster moves on Tuesday. McCarthy underwent shoulder surgery earlier this month and is expected to miss a significant amount of time. The 26-year-old, who was a fourth-round draft pick of the Titans in 2011, has played in 36 games over the past three seasons, making 19 starts and compiling 161 tackles, three interceptions and three forced fumbles with a touchdown. The Titans signed quarterback Dominique Davis, who has seen action in one game over the past two seasons with Atlanta. Tennessee also waived linebacker David Hinds and wide receiver Isaiah Williams and waived/injured offensive lineman Gabe Ikard. Titans linebacker Colin McCarthy had season-ending shoulder surgery on Friday. McCarthy sent two messages on Twitter: "Surgery went great. Now it's just the road to recovery." Earlier he posted: "Heading into surgery this morning. Want to thank everyone for (their) support and prayers during this time. It means a lot. Thank you." The surgery was expected. McCarthy suffered the injury in last Saturday's preseason game against the Green Bay Packers, and initial tests indicated he needed surgery. The fourth-year pro had been scheduled to get a second opinion. McCarthy, a captain in 2012, was a fourth-round pick of the Titans in 2011. He started 19 of 36 games in his first three seasons, including five starts last year when he replaced injured Moise Fokou. (McCarthy had lost the starting job to Fokou in training camp.) Injuries have been a problem during his career, however. He was working with the second- and third-team defense in training camp. The Titans are expected to place McCarthy, who's in the final year of his contract, on Injured Reserve. The star-crossed career of Tennessee Titans linebacker Colin McCarthy took another wicked turn with the news that he could miss the entire season with a shoulder injury. McCarthy suffered the injury in Saturday night’s preseason opener, playing in the third quarter with the Titans third-team defense, hoping to show the new coaching regime that he is still a worthwhile entity, either as an inside linebacker or on special teams. The question now is whether the shoulder injury spells the end of McCarthy’s time with the Tennessee Titans. In just his fourth season, McCarthy has been through quite a rollercoaster ride in his time as a Titan. When Tennessee selected him in the fourth round of the 2011 draft, McCarthy made an immediate impact in preseason and on special teams by having a nose for the football and a knack for making big plays. Back in 2011, the Titans were a team in transition, having moved on from Jeff Fisher with Mike Munchak in his first season as head coach. They drafted Jake Locker to be the future franchise quarterback and lauded linebacker Akeem Ayers as a second-round steal. And while third-rounder Jurrell Casey has had the biggest long-term impact from that draft class to date, it was McCarthy who became both a fan and locker room favorite. Midway through his rookie season, McCarthy supplanted veteran Barrett Ruud as the starting middle linebacker and, by December, had garnered AFC Defensive Player of the Week honors for a nine-tackle game against the Buffalo Bills, in which he forced one fumble and recovered two more. His inspiring play helped keep the Titans in playoff contention during Munchak’s first year as a head coach. The team would eventually finish just out the money at 9-7. The next year, McCarthy’s star was still on the rise as he entered training camp and was voted as the team’s defensive captain – quite an honor for a player who had only 13 NFL games under his belt and just seven career starts. McCarthy appeared to be the type of playmaker in the middle that then-defensive coordinator Jerry Gray could build his unit around. However, things soon began to go badly, and for whatever reason the likeable linebacker has never really been able to fully reverse the trend. McCarthy suffered a high ankle sprain in the 2012 season opener, and the injury bothered him throughout the season. While playing through that injury, he suffered a concussion that landed him on injured reserve. In all, McCarthy managed to play in just seven games that year. He came back healthy in 2013, but wound up losing his starting middle linebacker role to Moise Fokou in training camp. Now, entering the 2014 season, with a new coaching staff, a new 3-4 system and in the final year of his rookie contract, McCarthy is in an uphill fight to stay on the roster. Saturday night’s injury certainly doesn’t help his chances, and neither does his $1.431 million base salary, which the Titans probably deem as way too much for a non-starter and special teams player. It’s doubtful that McCarthy could get healthy quickly enough to play this year. Indications are season-ending surgery will be required. Would the Titans place him on injured reserve and either reach a settlement or pay off his 2014 salary? Seems unlikely. Perhaps McCarthy would be better off finding a fresh start somewhere else in the league and put his Titans days behind him. But if Saturday night proves to be the end of Colin McCarthy’s run with Tennessee, it closes yet another promising Titans career with fans and coaches wondering what might have been. The Titans are preparing for life without inside linebacker Colin McCarthy. After injuring his shoulder in Saturday's 20-16 preseason win over the Green Bay Packers, McCarthy underwent initial tests that suggested he'll require season-ending surgery, according to Jim Wyatt of the Tennessean. McCarthy is slated to get a second opinion next week before going under the knife. A fourth-round pick of the Titans in 2011, the oft-injured McCarthy was battling for a roster spot under new coach Ken Whisenhunt, who called the injury "significant." The addition of Wesley Woodyard in the offseason pushed McCarthy down the pecking order, as did Tennessee's scheme shift to a 3-4 defense under coordinator Ray Horton. In the final year of his rookie deal, this could be it for McCarthy in Tennessee. NASHVILLE — Colin McCarthy’s future with the Tennessee Titans may be in limbo following a shoulder injury in Saturday night’s preseason opener with the Green Bay Packers. McCarthy suffered a left shoulder injury in the third quarter of the game and was escorted from the field to the locker room. That is not good news for a player who took the Titans by storm as a play-making rookie middle linebacker in 2011 and was Tennessee’s defensive captain in the 2012 season. Also working against McCarthy is his $1.431 million base salary in the final year of his rookie contract — something that might be too big of a number for a backup player. Since being named captain, McCarthy has seemingly been unable to catch a break — or rather he has had too many of them. After playing 13 games with seven starts as a rookie, McCarthy struggled through his second year with a high ankle sprain, playing just seven games before going on IR. When he came back last season, he had lost his starting job to free agent Moise Fokou. Saturday night when McCarthy suffered the injury, he was running with the third team unit and trying to secure a spot on special teams. The Titans will be careful in their evaluation of the former Miami Hurricanes star. Speaking on McCarthy and backup center Chris Spencer, who suffered an ankle injury, Whisenhunt said the Titans would not be in a hurry to make a decision on either of them. “They’ve been checked out today, but we’ll know more as the week progresses,” Whisenhunt said. NASHVILLE, Tenn. — Titans coach Ken Whisenhunt said linebacker Colin McCarthy probably will be out for a while after hurting his shoulder Saturday in Tennessee's 20-16 preseason-opening victory over Green Bay. McCarthy was hurt in the third quarter and went straight to the locker room. Whisenhunt didn't know if McCarthy would need surgery. The coach said after the game that he hadn't talked to the team trainer but spoke briefly with the linebacker. Colin McCarthy was a starting linebacker as a rookie in 2011. A year later, his Titans teammates elected him a team captain. He was the talk of training camp, seemingly on the verge of a breakout season. McCarthy finds himself in a much different situation these days. In his fourth training camp, he’s trying to prove himself all over again. What used to be a given — a roster spot — is no longer guaranteed. With a new head coach, a new defensive coordinator and a new position coach, McCarthy wasn’t sure what to expect when players reported for offseason workouts in April. He quickly found out: After playing in a 4-3 defense all the way back to high school in Clearwater, Fla., he’d have to adjust to an inside linebacker role in a 3-4. He also faces a climb up the depth chart. Wesley Woodyard and Zach Brown have worked with the starters at inside linebacker throughout training camp and are listed as starters on the unofficial depth chart. McCarthy has worked with the second team on some days, the third team on others. He’s third on the depth chart behind Woodyard and Moise Fokou. Zaviar Gooden and Avery Williamson are also in the competition. McCarthy has started 19 of 36 games in his first three seasons. Last year in training camp, he lost his job to Moise Fokou but got five starts when Fokou was injured. Defensive coordinator Ray Horton insists McCarthy remains a contender for the starting lineup. Veteran cornerback Jason McCourty, a captain with McCarthy in 2012, said the linebacker’s attitude has been great. Injuries derailed McCarthy in his first two seasons, when he missed 12 games. He dealt with a concussion, an ankle injury and a hamstring, among other ailments. It left McCarthy and his coaches frustrated. He managed to stay healthy a year ago, played in all 16 games and finished with 51 tackles. McCarthy said he understood he needed to come in with a good attitude, work hard, learn the defense and stay healthy. After what he called a “long year,” he feels comfortable in a new defense — and on a team — he wants to be a part of. “I’m maybe more hungry than I was in the past, but I am not going to change the way I play,” he said. “It is a little different, but it has hasn’t changed me much. Whatever I can do to help this team win, whether it’s on defense or special teams, I’m going to do it. One position group the Tennessee Titans are expecting to take a huge leap is the linebacking corps. After showing flashes of talent, fourth-year player Colin McCarthy is expecting a fast turnaround. McCarthy was expected to be the Titans middle linebacker last season before injuries and spotty play led to a major decrease in playing time. Brown and McCarthy have both shown flashes of talent, but the Titans would be foolish to not look to add another player to the mix. With Brown moving inside, he may take time to adjust. Meanwhile, despite the talent he’s shown when healthy, McCarthy simply hasn’t been reliable enough to be the teams long-term option in the middle. Coaching obviously played a huge role in the linebacker group’s struggles last season, with many players looking lost and out of place at times. A new staff brings new hope, which is something Brown says is already starting to spread throughout the locker-room. Only time will tell if the optimism will lead to improved play, but one thing is certain: There will be no more excuses for this group in 2014. At the Titans first practice of any kind under Ken Whisenhunt and his staff, Colin McCarthy gashed the bridge of his nose. "I hit Collin Mooney, he was running the ball and I gave him a nice little pop and he gave me a pop," McCarthy said on my Nashville radio show, The Midday 180. So it was a good introduction to the minicamp for me." A gash on the bridge of the nose is a hard thing for a football player to get healed up so long as he keeps putting his helmet on. J.J. Watt of the Texans had such an issue with it last season he considered plastic surgery to resolve it heading forward. But McCarthy took a different tact. "Hopefully I'll have a bloody face all season, have a major intimidation factor going for me there," he said. "If it starts to heal up, I might just kind of crack it open myself just to keep it going." A bloody face in the NFL gets photographed. A lot. Watt and Brian Cushing have had a ton of such pictures displayed prominently. McCarthy's got a head start on the rest of the league to be the NFL's bloody face of 2014. Rams tight end Jared Cook will square off against his former teammates on Sunday, but he shouldn’t expect his old buddies to take it easy on him. Cook, who played for the Titans from 2009-12, has 29 catches for 375 yards and two touchdowns with the Rams, who gave him a five-year, $35 million contract. Cook is one of four former Titans with the Rams – cornerback Cortland Finnegan, defensive end William Hayes and linebacker Will Witherspoon are the others. The Titans have 16 players who played for former Titans coach Jeff Fisher, who’s in his second year with the Rams. Tennessee Titans LB Colin McCarthy is expected to start in Week 7 against the San Francisco 49ers with LB Moise Fokou (knee) ruled out. Fantasy Tip: McCarthy is worth a look in fantasy leagues which use individual defensive players (IDPs), if you need a replacement for Fokou, or your primary option is on a bye. McCarthy could rack up plenty of tackles against the 49ers trying to corral QB Colin Kaepernick, RB Frank Gore and even TE Vernon Davis across the middle. Middle linebacker Moise Fokou could miss time with the sprained left knee he suffered in Sunday’s loss to the Seahawks. Fokou underwent tests on Monday, which should provide a clearer time frame. Colin McCarthy stepped in for Fokou against the Seahawks. The Titans expect running back Shonn Greene to practice this week in hopes of playing against the 49ers. Jackie Battle should be available to play as well, Munchak said. Titans coach Mike Munchak expects Colin McCarthy to be limited to a reserve linebacker role and special teams this season. McCarthy was a starter and team captain in 2012, but fell behind Moise Fokou in training camp due to a hamstring injury. "He has to work his way back to where we feel he can do all the things he needs to do on an everyday basis," Munchak said. "Right now he is not where he needs to be to be an every down guy." The Titans have "no plans" to replace Fokou any time soon. Even when he gets fully healthy, McCarthy isn't expected to regain his starting job. Coach Mike Munchak confirmed Sunday that Moise Fokou has won the Titans' starting middle linebacker job over Colin McCarthy. On McCarthy's only practice of training camp, he pulled his hamstring. He has not returned, while Fokou has handled starting reps since OTAs. "I don't know what's gonna go on with Colin," Munchak said. "Right now, (Fokou) would be our starter. I don't know if Colin will be practicing this week, and next week. ... (Fokou) is the best linebacker that's lined up and practiced everyday." Moise Fokou pulling away from Colin McCarthy? The Nashville Tennessean believes Moise Fokou is beginning to distance himself from Colin McCarthy (hamstring) at middle linebacker. McCarthy simply can't stay on the practice field. Fokou is expected to make his second consecutive preseason start on Saturday after running with the first team all offseason. It's a concern for a Titans team with holes all over its defense, as Fokou is little better than replacement-level. He's better suited for a reserve/special teams role. Colin McCarthy is a talented player that has been a sparkplug for the Titans defense, no one is debating that. When he is in the game the Titans look much more versatile and become much more effective against the short pass and the run. However the third year LB hasn't been on the field very much due to injury, and I am concerned. The rangy MLB has been hobbled by another leg injury (his third in three years), and he is becoming less and less dependable. The question for the Titans now isn't whether he will miss time every year, it is how much time will he miss and does that warrant looking at replacements? Option one: The Titans could stay the course with McCarthy and try to minimize his reps by pulling him out in sub packages. For example, McCarthy can play first and second down, and then allow a cover LB/DB to come into the game and give the Titans more freedom to blitz for different areas. This mentality means that McCarthy would play much less during the course of a season, but it would also limit the Titans third down run defense. If the team faces run-heavy opposition like the Redskins or 49ers then they could be in for a long day. Option two: The front office agrees that they will allow McCarthy to continue his cheap rookie contract in Tennessee, but during that time they will look for a capable replacement. This gives the Titans a long period of time to try to find someone that fits the identity of their defense. Over the next two years, the front office can evaluate draft talent and possibly sneak out a day two or day three draft gem that can come in and be effective. This will prevent the franchise from being pigeon-holed into a bad deal, meaning either drafting someone too high or overpaying for free agents. Option three: If the Titans are fed up with worrying about whether or not he can play, they can immediately move him to second team MLB, pushing Moise Fokou into the lineup. With a healthy stop-gap the Titans can accurately evaluate how he handles the responsibility. If he can't keep up then they can make a move to trade, sign, or draft a MLB at over-market cost in the offseason. This option isn't ideal, but it would be a decisive course of action that the front office may decide to take. Either way, the Titans coaches and fans would love to see a healthy McCarthy, and a healthy #52 is the best case-scenario. Injured for most of last season and limited for much of the recent OTAs, Titans middle linebacker Colin McCarthy is ready to go for training camp. Whether he will regain his starting role isn’t as clear. McCarthy will be battling free-agent signee Moise Fokou for the bulk of playing time at middle linebacker. It was Fokou who spent virtually all of OTAs and minicamp with the first team — in part because McCarthy was still recovering from ankle surgery and a concussion, in part because Fokou made a good early impression. The Titans consider MLB Colin McCarthy 100 percent recovered from last year's ankle injuries and concussion entering camp. "He’s healthy. He looks good," coach Mike Munchak said. "No concerns there as far as us having to limit him in any way." McCarthy is tentatively expected to hold off journeyman Moise Fokou for the starting middle linebacker spot. Veteran leadership and experience are valuable at any position in the NFL. The Titans, however, have put a greater emphasis on youth and speed in their linebacker corps. The future looks bright. Zach Brown was among the top five NFL rookies last year in both interceptions and sacks, and he returned two interceptions for touchdowns. Akeem Ayers led the Titans in tackles in his second season even though he was used more as a pass rusher later in the year. If all goes well, third-year pro Colin McCarthy will stay healthy and regain the form that prompted teammates to vote him a captain heading into the 2012 season. Now he’ll have to hold off veteran Moise Fokou at middle linebacker. New linebackers coach Chet Parlavecchio no longer has a veteran such as Will Witherspoon in the meeting room or on the field, but he likes the different energy. The youngsters need to overcome some growing pains, however. One reason the Titans gave up so many big plays in the middle of the field last year was because the linebackers did a poor job in coverage. Sure tackling wasn’t exactly a given, either. The coaches believe injuries — and the resulting lineup shuffles — contributed to the inconsistencies. Akeem Ayers, Zach Brown, Moise Fokou, Colin McCarthy, Zaviar Gooden, Patrick Bailey, Tim Shaw, Greg Jones, Jonathan Willard. Ayers led the team in tackles (110) last season and ranked second in sacks (6). The 2011 second-round pick has 198 tackles in his first two seasons. McCarthy. A team captain, he missed nine games because of an ankle injury and a concussion. It was the second straight year injuries derailed his season. The Titans limited his offseason work so he would be full-speed for camp. He now needs to prove to everyone — including himself — he’s the man for the job. McCarthy vs. Fokou. Fokou has momentum following a strong offseason. He’s also faster than McCarthy. Yet McCarthy has experience in the defense, the admiration of coaches and was arguably the best defensive player in camp last year. McCarthy has the edge for now. BRENTWOOD Titans linebacker Colin McCarthy is counting the days until training camp. While some players dread the grind, McCarthy’s looking forward to the opportunity to prove himself. A year ago, his season was cut short by an ankle injury and lingering issues with a concussion. He had ankle surgery in January. “I’ll be excited, I’ll be hungry, I’ll be a lot of things,’’ McCarthy said on Saturday. “It was a rough year for me last year, playing through the injury and battling with that and not being able to be out there, and seeing the way we struggled sometimes on defense, it was tough. On Saturday, McCarthy gave up his time to work with youngsters at his free football clinic at Quest Sports Center. Roughly 40 high school athletes took part in the event. Several of his teammates showed up, including quarterback Jake Locker, linebacker Zach Brown, cornerback Jason McCourty, defensive tackle Jurrell Casey, cornerback Jason McCourty and linebacker Tim Shaw, along with former Titans players Blaine Bishop and Brad Hopkins. Gary Matthews Nissan in Clarksville and the NFL Foundation helped fund the camp. Chick-fil-A provided lunch to the campers. McCarthy has been training over the last few weeks since the offseason training program ended in June. He said he’ll be 100 percent when camp begins on July 25 at Saint Thomas Sports Park. “I feel a lot more confident,’’ McCarthy said. “I feel good mentally, and now it is just a matter of hitting somebody. Most importantly, I have to prove to myself (I am ready). When you get injured or have a setback like I did, you may question things. There’s a new Urlacher at middle linebacker in the NFL. At least in look. Titans defender Colin McCarthy has shaved his head to honor the man who has retired after 14 NFL seasons. McCarthy needs all the luck he can get. A combination of a concussion and an ankle injury kept him out of nine games last season. While McCarthy may be available for 16 games, it doesn’t mean he’ll be starting. Moise Fokou has his sights set on the first-string position. NASHVILLE, Tenn. — The Tennessee Titans have liked what they've seen in two seasons from Colin McCarthy. The thing is, they just haven’t seen the middle linebacker enough for their liking. Ditto that feeling for McCarthy, who exploded onto the scene to earn the starting slot two seasons ago as a rookie and unheralded fourth-round draft pick out of Miami (Fla.). By the time 2012 rolled around, his defensive teammates thought highly enough of McCarthy to vote him captain. But 2012 didn't turn out exactly as McCarthy planned. He injured his left ankle in the season opener and struggled when he was made inactive for four of the first seven games. When he finally made it back, he suffered a concussion and didn’t play in the final four games. "That’s my goal — to play all 16 games — and, obviously, be healthy and be available when my number is called," said McCarthy on Thursday, claiming to have no ill effects from either injury that plagued him last season. That would be a huge benefit for a Titans defense that yielded a league-worst 471 points last season, setting a franchise record for defensive futility. While playing only 34 percent of the team's defensive snaps, the 6-foot-1, 238-pounder still had 45 tackles and a 49-yard interception return for a touchdown against Miami. "I'm feeling good," McCarthy said. "It's good to get back out there on the field and get these injuries behind me and just focus on my game, making sure of technique and assignments and be on top of my game." Titans head coach Mike Munchak has been pleased with McCarthy's progress during Organized Team Activities. The club will conclude spring drills next week with a three-day minicamp (Tuesday through Thursday) before taking off until training camp in late July. "I think Colin is doing well," said Munchak, who had a disappointing 6-10 record with the Titans in 2012. "This is exactly what he needed, getting out here and feeling healthy again. That’s a relief for him, just out here playing football again and learning. Still, there is the notion that McCarthy is injury prone. As a rookie, he injured a hamstring in the fifth game against Pittsburgh and missed the next three outings. But when he returned, McCarthy started seven of the last eight games and finished the season with 78 tackles, including a team-high eight tackles for loss, one interception, two forced fumbles and two fumble recoveries. "I’m focusing on being healthy and doing everything to prevent injuries," said McCarthy, who had surgery on his right ankle following last season. He also had three shoulder surgeries early during his college playing days before playing 25 games the last two seasons at Miami. While McCarthy is solidly entrenched as the starter at middle linebacker, the Titans also signed an insurance policy, Moise Fokou, the former Colts (2012) and Eagles (2009-11) backup middle linebacker. Still, it is McCarthy who needs to stay healthy and play an entire season because of all the variables he brings to the defense, especially big-play capabilities. "There is a natural thing Colin has for the big play," Titans linebackers coach Chet Parlavecchio said. "There are times during the game when he makes the right decision to make the big play. He has great hands. He has good instincts. He has a knack for the big play." McCarthy agreed with his position coach about the knack for making the big play. "It's just instincts and watching film and reading my keys and believing my keys and reacting,” he said. “You put the work in and then just try to reap the advantages of it." What Parlavecchio wants to see now, though, is a consistent effort from McCarthy not only during games, but an entire season. The Titans are currently listing nine linebackers on their two-deep depth chart, so talent and depth at all three linebacker slots are considered team strengths. Third-year veteran Akeem Ayers, the team's leading tackler last season, is back on the strong side, while second-year player Zach Brown, who was third on the team in stops, returns to the weak side. "They are a great group of guys," Parlavecchio said. "We use the analogy of the Boston Bruins. What makes the Boston Bruins so good and playing for the Stanley Cup? But certainly it all starts at linebacker with having a healthy and productive McCarthy back in the middle. "It is someone who makes plays and gets the attention of the rest of the defense and be a person the rest of the team can rally around," McCarthy said of what it takes to be a good linebacker in the NFL. "I don't think you need to be very vocal. Obviously, with making your calls, you need to be confident in making your calls. "It's just going out there and playing football. 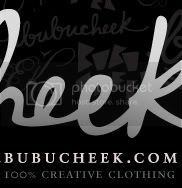 At this level, guys want to see you produce. Guys want to see you make plays. And that’s how you gain the respect of your teammates and coaches." Titans middle linebacker Colin McCarthy isn’t back to full health yet following his offseason ankle surgery, but he’s encouraged by the progress he’s making. McCarthy has been participating in the Titans’ OTAs, which haven’t yet featured offense vs. defense drills. “If I had to put a percentage on it, I’d say I’m probably about 80 percent,” McCarthy said Tuesday. “I think the biggest issue I’m having is just some of the acceleration, some of the cuts, some of the backpedals, just coming in and out of breaks. I don’t feel 100 percent. McCarthy endured a very frustrating 2012, as the ankle injury suffered in the season opener, along with a later concussion, limited him to just seven games and 388 snaps – 34 percent of all the Titans’ defensive plays. It was all the more disappointing because of the potential McCarthy had showed as a rookie the previous year. He’d emerged as a playmaker in 2011, leading the team with eight tackles for loss and finishing fourth in tackles (76) despite starting only seven games that year. He says he hasn’t suffered from any concussion issues during the OTAs. “Concussion-wise, I feel great,” McCarthy said. “I think mentally it was more just the injury to my ankle and the irritation of dealing with that. Once that all went aside and the season was over with, the coaches just kind of put me on the shelf and told me to take care of myself and be ready to go for next year. When does McCarthy believe the ankle will be 100 percent? The Titans have bolstered their depth at middle linebacker during the offseason by adding free agents Moise Fokou and Greg Jones. But a healthy McCarthy would serve as a huge boost to a defense that surrendered a franchise-record 471 points last year. Titans middle linebacker Colin McCarthy had a procedure earlier this offseason on the right ankle he injured in Week One of the 2013 season. McCarthy sent a message via Twitter on Tuesday he’s already running again, however. McCarthy suffered the injury on September 9 against the Patriots, and ended up missing four games. Later in the season he suffered a concussion, which caused him to miss the final five games of the regular season. He ended the season on Injured Reserve. The Titans begin their offseason program on Monday. The team is scheduled to hold its first minicamp beginning on May 29. NASHVILLE, Tenn. —Titans safety Michael Griffin and linebacker Colin McCarthy stopped by the ticket office on Thursday to call season ticket holders and thank them for renewing their seats for the 2013 season. Griffin and McCarthy went through separate lists of Titans fans. They reached some on the phone, left voice messages for others and paused for some conversations and photos with fans who swung by LP Field to make their renewals. There were a few fans who were surprised and maybe skeptic that they were being pranked, but they soon realized they were talking to the Titans defenders. “It was fun to make some phone calls, leave some voice mails and talk with some people just to say thank you for their support and let them know that we’re excited for the season and glad that they’re going to be part of it,” McCarthy said. “They were a little surprised, a little shocked I guess, but once they got on the phone, they just started talking, asking some questions. Griffin’s list randomly included one of his neighbors. Griffin enjoyed catching up with her and learned she now has a grandson in his hometown of Austin, Texas. Longtime season ticket holders Donnie and Julia Vaughn of East Nashville were excited to meet McCarthy, who they said is their favorite player. Donnie and McCarthy exchanged handshakes, while Julia opted for a big hug. Griffin and McCarthy said they enjoyed the excitement that fans expressed on the final day of February, eight weeks before the 2013 NFL Draft and more than seven weeks before the team’s first offseason workout is scheduled. A couple of fans asked how McCarthy was doing in his recovery from the ankle injury and concussion that cost him nine games of his second season. He was pleased to relay good news. McCarthy said he is looking forward to playing for new linebackers coach Chet Parlavecchio. Griffin has been alternating his time between Austin and Nashville. He’s putting himself through extensive workouts and has gained about 10 pounds, weighing in about 217, he said. Griffin said he looks forward to meeting recent free agent signee George Wilson and welcoming the veteran strong safety to the position group. Griffin said he’s also excited about the addition of senior defensive assistant coach Gregg Williams. Titans middle linebacker Colin McCarthy knows what everyone is thinking: He’s injury prone. The second-year pro had an exceptional training camp, was voted a team captain and was poised for a breakout season. But after missing nine games, he’s aware that questions about his health will persist. McCarthy went down in the season opener against the Patriots with a high-ankle sprain and missed four games. He suffered a concussion against the Jaguars on Nov. 25 and missed the final five games. Defensive coordinator Jerry Gray doesn’t think McCarthy is necessarily injury-prone. He pointed out that defensive end Derrick Morgan overcame a run of injuries early in his career and put together a solid 2012 season. McCarthy’s concussion was particularly troubling. Several times in December he seemed on the verge of returning to action, but he never made it back. He was scheduled to see more doctors after the season. “We plan to keep in contact with him throughout the offseason to make sure he is right,” coach Mike Munchak said. McCarthy also suffered injuries in his rookie season, but missed only three games because of a strained hamstring and sore knee. He also had some dislocated fingers. This season in seven games he finished with 45 tackles and three tackles for loss along with a 49-yard interception return for a touchdown against the Dolphins on Nov. 11. Teammates tried to keep his spirits up late in the season when his concussion symptoms persisted, but he couldn’t shake the frustration. If he does, the Titans could have a special trio of linebackers. Second-year pro Akeem Ayers led the Titans in tackles (101) in 2012, when he also had six sacks and eight quarterback pressures. Rookie Zach Brown had 93 tackles and three interceptions, including two returned for touchdowns in the season finale. “Me and Akeem, all season we told Colin, ‘When we make a play, just know we are thinking of you out there.’ I did a little kick thing for him after plays,” Brown said. “Two of the three young boys, we are doing what we are supposed to do and unfortunately he wasn’t able to be out there with us as much as he wanted to. “It is hard, but you have to be there for him, and we have been. It is not like his career is over. The Tennessee Titans have placed LB Colin McCarthy (concussion) on Injured Reserve. In a corresponding move, the team signed practice squad FB Collin Mooney to their active roster. Terms of the contract were not disclosed. Prior to the start of the season, few Titans had arrows pointing higher than MLB Colin McCarthy, who was named a defensive captain after a superb rookie campaign in which he demonstrated a keen sense for being around the football and a real knack for making big plays in big moments. 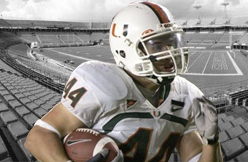 Fast-forward nearly four months, and we hear McCarthy is back to square one, forced to again dispel the knock on him coming out of the University of Miami: A player with immense upside, but also an injury track record that couldn’t be ignored. After missing his fourth consecutive game because of a concussion and eighth overall this season (McCarthy has also dealt with various lower-body ailments), we hear the Titans likely will be forced to seek reinforcements at middle linebacker in the offseason. To be clear: the club still loves McCarthy’s potential and thinks he has star qualities. However, his replacements this season, aging veterans Will Witherspoon and Tim Shaw, are nothing more than situatonal players and strong special-teams contributors on their best days, we hear. The good news is that the other two-thirds of Tennessee’s linebacking corps, fellow second-year player Akeem Ayers and rookie Zach Brown, have provided encouraging signs that they are building blocks for the future. Unfortunately, McCarthy might not again fall under that category until he can consistently stay out of the training room and get back to being a dynamic player in the middle of the Titans’ defense.